If you lose your place in the game or start the game under a new profile, you can unlock all chapters (levels) at the main menu by going to New Game and pressing Left-Bumper + Right-Bumper + the View Button (little button with two squares). Then at least you can start over from the current chapter you were playing. If the game is running slowly, try adjusting graphics options in the launch menu (shown before the game starts). Choosing a lower screen resolution will help, and be sure to run the game in full screen mode for best performance. You may also improve performance by choosing one of the other Graphics Quality options in the launch menu. Fast or Fastest reduce shadows and other visual effects to improve framerates. Be sure to update your graphics card drivers to the latest stable version (see the NVIDIA or AMD websites, depending on your GPU brand). NOTE: The game may not play at a high frame-rate without a dedicated graphics card. Integrated video devices and low-end laptop graphics may not be sufficiently powerful. You can significantly improve graphics performance by disabling Higher Quality Effects under the in-game Options menu. Note about Intel integrated graphics: All but the most recent Intel video solutions may struggle to run the game properly. Here again, make sure you have the latest drivers. In particular, the Intel HD 4600 drivers have been shown to solve problems for some users. Lifeless Planet works with Xbox-compatible gamepads. On Logitech gamepads, be sure to set the switch on the bottom to "X" mode and not "D" mode. Note, you'll still need to set the "X" mode switch on a Mac for Logitech controllers. PS3 gamepads seem to work with no extra drivers/settings. If your character becomes stuck, pause the game ( [Esc] key ) and choose “Last Checkpoint” from the menu to reset your player at the most recent checkpoint. Here's how to copy your saved game files from one PC to another (be sure the game is not running while you copy these files). The Library folder is hidden since OSX 10.8, so you may need to show hidden files (see: http://ianlunn.co.uk/articles/quickly-showhide-hidden-files-mac-os-x-mavericks/) or use the terminal. You can also delete your saved game file (see above) if you want to try a clean run at the achievements. You won't lose any achievements you've earned, but you'll be able to start a clean game to try to earn achievements that require success on the "first play-through." I'll probably adjust the achievements to make them not require "first play-through" perfection, but for now this solution is an alternative to going for the tougher achievements. Lifeless Planet uses an auto-save system for saving game progress. Your progress is always saved at the beginning of every chapter (level), so these are good places to stop and quit the game as you can always safely return to the start of a new level. There area a few other save points in some of the longer chapters. As I write this, there isn't an indicator for where these saves happen. That's obviously an oversight so I'll be adding this feature in a patch and hopefully uploading in the next day or so. I'm sure I missed a few bugs and issues along the way, so please report them here as you find them and I'll do my best to get these corrected asap. I intend to be as responsive as possible to your feedback. As mostly a one-man team, I've had to focus my efforts on core features and rely on the community for feedback. This is why I went to Early Access, and I will continue to adjust, improve and fix features post-launch as well. i really want to play it on my Mac...when are you going to release it for mac? Mac is coming VERY soon... I unfortunately ran out of time but it is not forgotten. Maybe a week or so at most I promise! Hi there, is it possible to set a custom resolution for this game? I know there might be issues with UI placement and FOV but would love to try it out on a 3x1 Eyefinity setup. Currently the launcher has no options for any non-standard aspect ratio resolutions. I'm sorry but there are no options to set a custom resolution. I'm looking into expanding this at a later date. All my problems solved with the latest patch on steam. Thank you, amazing game! I installed the game for the first time through steam and I am having problems with the lighting. The screen is pretty dark, I can hardly see my character, the land around me is too dark to see but the distant hills are visible. I can't see where I am going. I tried clicking the "brighten dark areas" button on settings and it didn't change anything. I updated my graphics card and it didn't help. Any suggestions? I emailed the dev. and I had to force the lifeless planet exe to use my GeForce card. Problem solved. On the Inferno level, for some reason whenever I activate my claw to try and open the door, I will be teleported back to the power source. This happened on the Badlands level, but I do not remember how I fixed it. Also, whenever I quit the game and come back later, I will restart the level I was on before I quit. Can you render assistance? Thank you for your time. The level restart bug is something i'm trying to improve. Best thing now is to look for the disc icon when you save (in the 1.1 update) and then you can return to that point. I'm not sure about the inferno robot arm issue but we're looking into it. It doesn't happen for most people most of the time so tricky to track down. Hope to have a fix next week. I commented on the other list before I found this one, but I am stuff falling through the level over and over at the start of hot springs. Did you try to start that level over? New game -> hotsprings? I get the same issue when reloading any (apart from mission 1) level. Currently unable to play any of this game now. Yes it should run fine in 8.1. If you are having an issue let me know. I have a problem to report, I got pretty far in the game, but I just started the game and I was sent back probably 2 or 3 chapters. Is there any way I can skip back to my original place?? How can I adjust the mouse sensitivity? I need to slow the mouse a lot. I'm sorry there's not an option for that right now, but I hope to add it in an update (soon). This is usually because you have a gamepad connected that is not calibrated, or is sitting with the stick pushed to one side. Try unplugging your controller or calibrating it. Everytime I die, the game autosaves and I load where I just dies. The only way to 'continue' is to exit the game and restart and resume my game. Except it resumes far behind where I should. I am on the Chasm, everytime I die (sometimes from quite small falls) it saves and when i resume it starts at the beginning of the research center. why? This is a nagging bug that we never saw in testing but seems to stick around for an unlucky few users. We've been working on a solution this last week and hope to release a patch within days that we hope will fix the problem. Your earlier posts contained swearing and shouting. This thread is here so I can provide help for users, so I won't allow those kinds of comments. After your first post (which is still not deleted) I asked you to tell me what went wrong so I could help. Instead, you are posting hateful comments on someone else's outdated thread (the game was patched after my reply). I'm sorry you're having trouble with the game and I'd still like to help. Hopefully the 1.2 update from last week fixes your problems. I've bought this on Steam. When I try to run it it says "Failed to start game (app already running)". Steam say on their support pages that this is due to a problem starting the game (though I can't help but think that given this happens after a clean reboot that it definitely isn't already running so there must be something happening with Steam). Any ideas on what might be going wrong? is there any way that I can get it running or troubleshoot any startup problems? Or is there any way to get the non-steam version without having to pay for it again in the hope that it will work without steam getting in the way. Hey, when I try to jump onto the crane, I fall through. This is in the wasteland. This usually happens due to low framerates since the game engine has trouble finding the location of moving objects. So you might try running at a lower resolution or with hq graphics off. You can solve this puzzle without jumping on the platform while it is moving. Stop the platform halfway up and then use it to get across from there (jump on it from the nearby rock). Sorry about this, Karl. I'm guessing you probably pressed the button down below at the building to call the tram, but then took a shortcut out of the crater. If you don't go back up the trail near the house, the trigger for her to move to the tram isn't activated. I've just now fixed this so it will go in the next update. In the meantime, just be sure you use the path to/from the crater that is just below the house (passing the jetpack fuel can each time as you enter/exit the crater). Thanks for reporting this and again it will now be fixed in the next update. I notice there is a Steam 1.2 update. I bought the Humble Bundle version and while I have a Steam key, I'd prefer to continue playing without Steam. How do I acquire version 1.2 without having to connect to Steam? Great game so far. Thank you. You can re-download the game via Humble. However, the 1.2 build is not quite online yet I think--might be Monday. Glad you are liking it! First of all let me thank you guys for creating a truly great game, Lifeless Planet has provided me with many hours of joy. The reason why im contacting you is that i found a glitch in "The Abyss" part, where you are supposed to slide the two golden half-cricles togeather, I watched a walkthrough after mine bugged out so I was sure it was not something that i missed. I pushed one of them to the center, then started pushing the other one towards the center aswell, then when they were about 1-3meters apart, the one i was pushing glitched out and spawned back at its original spawnpoint, if i now connect them there is quite a large gap between the actual portals hanging over the chasm, while the two golden half-circles are connected. It also seems that the movement of the left most half-circle is reversed from what it originaly was (and i cannot push it backwards even if i split the two again). If i start from last checkpoint, the positions are still squewed while the golden-cricles are still locked togeather. Love the savesystem btw, sadly it screws me over regarding to this :(, any idea if I can roll back to the start of the map? or reset the level so i dont have to start the entire game over? Ah! Nevermind , it resets to the start of the level if i just quit the game and restarted it, now i can try over atleast! Glad you got it working! You can also choose any level from the start by going to New Game (it shows all levels you've reached so far). First time I've heard of this, but my guess would be video card related. What make/model of graphics card do you have? Are your drivers up-to-date? Let me know and I'll help if I can. Thanks for playing! Hi Dave, my graphics card is an ATI Radeon HD5800 series, the graphics are up to date. Ok, a couple possible issues here. If this is a laptop, you may need to force it to use your Radeon card instead of integrated graphics when running Lifeless Planet. Hi Dave, I have tried different res from the drop down menu but still the same, I have a desktop i9 processor Dell, how do you force the game to use the radeon card just in case this is the problem? Through the ATI Catalyst control center. You should find a section under 3D settings to add/change specific programs. Set the LifelessPlanet.exe to default/require use of the Radeon card. 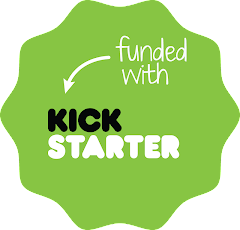 Please email me games@stage2studios.com and let me know if you are a backer or a buyer. any confirmed release date on xbox one? i am really keen to check this out! Not yet... should be this fall. I have the same issues.. on the level " inferno " cant open the door at the end as it keep putting me back to where the power source is. Dont want to be forced to uninstall and forget about the game. Please help !!!! Thought we fixed this in ver 1.2. Be sure your copy is updated (on Steam) or download the latest version (Humble store, COG, etc). If I restart from last checkpoint, then jump, I die immediately (even in a flat area, no long drops). Exiting the game and restarting fixes it. Thanks for the bug report. Let me know if the problem returns. The game acts up if the framerate gets too slow. You may have better luck reducing the graphics quality and/or resolution. Thanks for playing! Just got the game and I'm loving it. Very well done. how ever I am unable to progress though the game. I'm at the 2nd door and the arm will not press the buttons. Not sure what the problem is. I have exited the game and reloaded it a few times and it's still doing it. Over an hour spent trying to get this to work. Hi Trenton, sorry you're stuck here. This puzzle is admittedly more confusing than it should be... the trick is that the door is not activated yet (doors are activated when there's a glowing green ring around them). To activate it, you'll need to power up the huge structure opposite the door... a little searching will reveal the answer. Thanks for playing my game and glad you're liking it! Just downloaded from Steam for Mac - really beautiful, but I'm still at the first landing site and the camera keeps getting stuck and zooming all the way out. I can't then use the mouse to control my running direction. The camera snaps back to normal for about 5 seconds before zooming out again. Any help? Thanks! David, I'm having the same problem. The mouse is stuck in an overhead view. I can scroll back but that's about it. When I try to use the mouse to change the view, it just snaps back to an overhead view. Any help? Hi No Name, please email me at games@stage2studios.com and I'll try to help. Please let me know where you are in the game and when this started happening. Hi David: I got your game for my IMac, & although it runs kind of jerky, I've made it to the Inferno. Problem now is, I fire it up today & there's no "resume game". This is the 2nd time this has happened. What's the deal? And is there any updated patch for the Mac? I didn't buy from Steam. 1. Run the game at a lower screen resolution and disable High Quality Effects under options. This should help a lot. 2. There is a cheat at the main menu to unlock ALL of the chapters. Press C-H-P keys at one time and then you can select Inferno or Crater (the next level) and continue, even if you lost your save game. Hope this helps, and thanks for playing my game! Great game, very atmospheric and sometimes really scary! Runs more or less fine on Linux under Wine (Ubuntu 14.04 64-bit, NVIDIA Quadro 2000M, wine-1.7.22, game version LifelessPlanet_windows1.3_1405015860.exe from Humble store). Effects are at maximum, FPS is acceptable. 2) (meduim, gameplay): "Save and Quit" menu item is inaccessible. 3) (medium, gameplay): as a consequence of 2), saved game promptly disappeared after restarting. 4) (minor, gameplay): at Town level, I ran to oxygen tank while (I think) there was a message playing (maybe from graveyard, not really sure). The game did not detect the event, causing death and reload of the last checkpoint. After that, everything was fine. HI, Awesome game I really love it, it brings the adventure part really well!! The only issue I have is performance. It gets really slow in some parts especially when theres particle effects. Im using a fx 6300 270x all updated drivers and using the gog version. Dont know if that is an issue with ati users. I planning to play it again but im gonna wait for the patch. Sorry for the late reply, but thanks so much for the feedback! realy a great game! 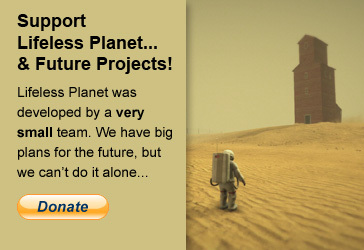 hope there is a plan to make some other games like that or a second part of lifeless planet ;). just one question. is there a way to copy the saved game files from one mac to another? If yes, can you please provide me the path where the files are located? Thank you! Glad you liked it. I added a note above (on this help page) about where to find the Mac save game files. I tried to modify the pad mapping, but I haven’t succeeded to have something functional. One more request: where is the preference file for the settings? (to have back the original pad setting). Note you may need to show hidden files. See note on this page about dealing with hidden system files on OSX. Hope this helps! How do I get the game to recognize my Xbox 360 controller? It works fine with my other games. It should work fine on PC with no special settings. If you're using a mac, see the instructions on this page (top of the Help page). If you're using an xbox-compatible controller (not official) make sure it's in Xbox mode or the mappings won't be right. If you have multiple input devices plugged in, they will all work...which means a gamepad can cause input issues if it's not calibrated or one of the sticks is pushed to one side... even if you're using mouse. Try unplugging all other input devices and/or calibrate your gamepad (increase the dead zone). I only have a keyboard and mouse. I do not have any joysticks, joypads or any other input devices whatsoever. The astronaut runs in a circle and the camera points at the sky. Is it possible to completely disable all the inputs that I don't have? I've only seen this issue when there was a gamepad plugged in. If you don't have any other devices plugged in this shouldn't happen. Maybe there's some old gamepad driver(s) installed that is sending bogus input signals? Oh, and if you still can't get it working email games@stage2studios.com and I'll help best I can. Loving the game so far but I think I may have hit a glitch: I saved and closed the game after discovering the air tank that enables you to use your jetpack multiple times and jumping across the gorge to find the red gems (can't remember what they were called). After reloading the game and going back the way I came (as there was nowhere else to go) I went all the way back to the large building next to the waterfall where I had listened to the speech-recorder about the russian's power output and I found that I could listen to it again, as well as interact with objects along the way that I'd already interacted with. After inspecting the area to see if I should continue retracing my steps and deciding to go forwards again past the electricity pylon that the woman had been sitting atop of observing me, I found her not much further standing on top of an incline of rocks, but she was not doing anything, nor could I interact with her. I wondered if maybe she was supposed to be activated to do something that perhaps hadn't taken place yet, since the game didn't seem to have saved my interactions along the way... Any idea how I can get round this? Many thanks for any feedback you may have. Sorry you're running into trouble here. I'm guessing the framerate dropped too low. When this happens, sometimes certain events aren't triggered. However, by backtracking there's no telling when exactly went wrong. I'll look into this for the next major update. You can start over any level by going to New Game and then selecting the previously unlocked level. Once you've played through the game, all levels are listed here. Stuck in the crater in Abyss, put the energy rocks in their receptacles, push the square button in the square ring, flashes briefly and then nothing, the big ring does not rise and the energy rock on the buttress reappears over and over..
Small question... how do I save screenshots? Whenever I press Print Screen ingame and tab out, the clipboard only contains a picture of my desktop. Print Screen should work, but if not then give Fraps a try (usually more reliable). I'm at the big door, with the big green generator to turn on before at the top of the elevator. Hope you know what i mind. So... i jump on the elevator for use it, elevator goes up, i see i need the green ball, i fall, don't die, found the green ball but i can't go back up to the generator !!! the elevator stay up and the switch at down is broken !!! How can i do ? And impossible to climp on the structure because i'm blocked by the last floor ! Great Game, Only have a small issue and its a game breaker. For some reason my A and D keys are not working in game. Was fine at first but now I can get past the big door because i cant move the mechanical arm left or right to punch in the code to open it. Sorry to hear this... You can map keys as you like under the launch window (before the game actually starts). This does mean quitting out of the game and restarting, but you shouldn't lose too much progress. Hi, I really enjoy your game. I bought the GOG version of the game, but that version is still at version 1.1. In the steamcommunity I read that the game has been upgraded to version 1.3. Would it be possible to upgrade the game experience on GOG, too? Or will the GOG version be stuck on 1.1? No it should be 1.4... I'll try to have the publisher fix this today. Thanks! The PC/Mac update hasn't been released yet. I will announce that very soon after Xbox One release. ok..thx for your feedback. What do you mean when you say VERY soon please ? Do you have a date ? I paid for a game that doesn't work since 10 days you know.. thx for understanding David. Then we might be talking about a different bug. The game works... but in some rare cases it might take pressing escape 2x to get the pause menu to show/hide at times. Email me at games@stage2studios.com and I'll try to help! Xbox one version keeps starting me at the same checkpoint. Frustrating to play 4 chapters only to log on and select continue the next day and be all the way back nearly at the start. Hmm... not sure why that would be happening. Once you unlock a chapter (level) you can go back to that at any time under "New Game"... or if you find that your box is not saving your games at all, you can unlock all chapters so you can at least choose the most recent one and play from there. In this way you can at least get through the game even if your console is never able to save for some reason. Instructions on this at the top of this help page. Hope this helps! .. why? And how do I get it to work?? Is it possible you don't actually have the robotic arm yet? You must acquire the arm before you can use it. Look around the building at the very start of the Power Station level...hope this helps! yes I play lifeless planet first time I played it I played to the chasm then I turned it off went back the next time it was fine I played to the night time then I stopped it and the next time I went back it went back to the chasm and the rest of it wasn't there then from the charm I played it again I went to the Hot Springs.then when I went back it wasn't there was all gone and it went back to the chasm again I tried bringing up the chapters like you said on the top about doing the Left bumper right bumper and then the button with it too little squares on it in nothing happens it doesn't do anything so how can I get my chapters back all of them so I don't have to play the whole game over again. Hi Mark, really sorry to hear you're having difficulty. The chapters will appear under the New Game menu but you have to have that menu open when you press those buttons. Feel free to email me direct at games@stage2studios.com and I'll do my best to help! The game is great so far will there future add on's/ DLC's to the game? Are you working or plan on working on other games like this one? Thanks, Jabarra! No plans for DLC, but we are working on future projects. Very early stages so won't be able to share any details for a while. Thanks for playing Lifeless Planet! OK, I'll try this again and hope it reaches you...I downloaded on xbox one for 15.99 and made it as far as the forest on my first playthrough. At some point, after reloading, my save was lost and I was sent back to "the town" but the town had mysteriously disappeared(an obvious glitch). I was left with the option to restart at "the chasm" as the furthest point even though I had gone far past that. Well, OK, I figured "oh well, sh1t happens" and gave it another run from that point and made it all the way past the volcanic area and stopped. Upon my next startup, once again my save was lost, I was sent back to the "missing" town with my furthest restart option being "the chasm" again. Well, you can imagine I'm not too happy and am certainly not willing to redo everything past that freakin chasm AGAIN! I appreciate that bugs are expected, but I expect a bit better from games on the xbox one. How do I get my money back? Hi this is Dave, the creator of Lifeless Planet. I did test the game but this bug didn't show up for me and the other people testing. I'm truly sorry you're having this issue and we're looking into why it happens for some people. But there's good news... at to top of this page you'll find a simple cheat that allows you to show all levels under the New Game menu. This let's you choose to continue your play from any level. You won't lose achievements, etc this way either. Hope this helps and again I am sorry for this trouble! Sweet, I'll give that a shot. Thanks David! Glad you want to play more, but it will be a while before we can announce future games. Thanks for your interest! In version for Mac I don't move using w a s d. Please help. You can set any key bindings you want, or reset the key mappings by going to the Input tab of the game launch window (before the game starts). Let me know if you're still stuck. I know this. I am set key w a s d as primary and as secondary. But it's not work. On Windows 7 I don't have problem. The document at the edge of the cliff says you can take the hard way...or go back down. Try going back down the way you came and then jump to the big rock... And see that document for tips on how to use the jetpack. Hope this helps! First, I want to say that I absolutely love this game! Second, I want to report a bug if you will. I was being a dumbass and got the green power node lost in the root mine field if you will on the portal stage, is there anyway to reset the power node position? Thanks, Rob! Yes it should reset if you die or simply choose Last Checkpoint from the main menu. You could also restart the level by going to New Game, The Portal. So my computer meets or exceeds the minimum requirements, but all i get when i start up the game is a pinkish-purple screen and just a little sound kinda like TV snow. Anything that could be hindering the game from playing properly? Hi Jared, I'm sorry but that's a new one to me. If the info on this page doesn't help you get this resolved, drop me a direct email: games@stage2studios.com and I'll try to assist further. I was playing in Steam Big Picture mode and went to save a screenshot. Something weird happened and it started me over at the very beginning. It's on an Alienware Alpha and the level select code isn't working. I like the game though, I had just got to the Tesla Towers when it happened. If you restart the game you should be able to pick up at the last level you played by going to New Game and choosing the chapter (level). You're right. Thanks for the help and a great game! I just finished the game on Xbox one. A different and great experience! Good work sir! Pretty poor show that on the PS4 version you can only get the Survivalist trophy in one sitting. You can't quit the game and resume play later as you can on the PC/Xbox versions which makes getting the Platinum trophy nigh on improbable due to needing to quit the game and resume every time a glitch occurs or you get stuck in the environment, or fall through the map.....which has happened a few times now. It's ruined what could have been a decent game. Hi Jon, very sorry to hear this. I confirmed this is a bug in the PS4 release build. We will try to address in a patch. I know how frustrating this kind of thing can be and I am indeed sorry about it. I agree, I've really enjoyed the game, and beat it twice in one sitting with no deaths. Made sure I never paused or left the game and still no trophy. Hopefully the patch is coming soon. Thanks for keeping us informed. Looking forward to the update. Hi Christopher, yes we're working on it. Should be ready very soon. Thanks! Is it something that can be addressed easily and has an honest likelihood of being patched? There's many other trophy hunters (like myself) who would probably be put off purchasing the game with such an extreme Platinum difficulty level. Rectifying the problem would most certainly boost sales. Thanks for looking into it though and, fingers crossed, you manage to sort it as this makes an extremely enjoyable game for trophies otherwise. Hi Jon, I'm hoping it can be patched quickly, but honestly just don't know yet. I'll follow up when I do. I found a similar issue with Lifeless Astronaut. I started a new game and died all the methods outlined in the Xbox guide, but no trophy popped. I had already beaten the game (and enjoyed it btw :)) and started a new game from Foothills all the way to Inferno in a single sitting (to avoid the aforementioned bug). Do I need to delete my save data, and attempt again from Landing Site? Is it also possible that the confirmed bug could impact the 10 hours trophy? I've done 2.5 playthroughs and one chapter select collectible run. I'm 99% sure I've exceeded 10 hours. Hi guys, we're looking into the reports of trouble with the trophies. I'm really sorry some people are running into issues. We did confirm all trophies can be earned (you can see stats on this online). I'm not sure yet why it's not always working--these things tend to be some of the most difficult to work out. But... we are working on it and I'll update when I know more. Thanks! Hi David, my name is Michael (can't select Google account, so here I am). I am on PS4 version of this game. I've had a lot of frustrating experiences with this game. I've purchased the game on Day 1 when it was released, and did a livestream of it. I was probably one the first people to do so. However, after about an hour through the game, I've gotten stuck in couple areas (one to the left of the pipe at a dead end, and one around red rocks, weird spot...), and for some odd reason, I was not able to select 'last checkpoint' in the game. Meaning, I had to quit application which made me start at the beginning of the chapter - you can imagine how frustrating it was go through most of the chapter all over again. After letting my anger settle in, I decided to try the game once again - didn't go well. There's a part of the game where I need to 'solve' a puzzle and use robotic arm to move the green rock inside the generator. My 'robotic arm' prompt will not pop up, meaning I cannot progress in the game. I even pressed the button behind the bar to make "New Objective: This control is not powered. Find a way to restore power." prompt pop, but I can't do anything as of this moment. It seems like an isolated issue, but very frustrating. Lastly, I've read the posts above, and if the Survivalist, Expedition Leader trophies are an issue, how and when will that be solved? You can confirm all trophies can be earned, yes, but doesn't mean it's natural. Unnatural meaning there has to be some sort of save file delete, or playing in one sitting without selecting 'last checkpoint'... which are not only frustrating for trophy hunters (such as myself), but it's also making players do more unnecessary work. I apologize if this is really long, but I've so far had an unpleasant experience from this game. After announcement for PS4, I was very excited for this game since it had unique gameplay and style, but it has been a disappointment since. It seems that PS4 version is very different from XBOX and PC versions as I'm having unknown issues. I've tried Google search, and no one seems to having the issues that PS4 players are having. Granted, it's still a new release, but it's very frequent, and the only hope is on a massive patch to fix this all before another playthrough. Thank you for your time. First, I'm really sorry to hear you're experiencing trouble with the game. I appreciate that you took the time to post your comments and you're really being kind about it--it would be understandable if you were more upset. We're a really (really!) small team, so it's nice when people share their experiences, good or bad, so we can help to make things better. We are looking into these problems and we do hope to do a patch when they are resolved. We did test the game of course, and so these are the frustrating kinds of issues to resolve that only happen once in a while... it makes it hard to track down when we can't repeat it or repeat it every time. Even if we think we address something, we don't know for sure if we did, or maybe it just didn't happen that time... But anyway, we are looking into resolving these issues. You said you were live streaming? Do you have video links to these issues happening? That would be extremely helpful for us to try to recreate the issues or at least see where they happened. Feel free to email me at games@stage2studios.com and we can discuss directly to try to resolve. Thanks again for trying our game and for sharing your issues! I see a new patch came out for the PS4 version. Are there any patch notes of what this addressed? - Fixed a bug where the Last Checkpoint menu option was not functional when playing the game for the very first time. - Fixed vibration time when doing a "hard landing". - Tweaked the speed at which alerts pop up. Really enjoyed the game David. Captivating storytelling and just what I needed really to feel reinvigorated towards gaming in general. Now that I've completed the game I am also trying to achieve the remaining trophies and have unfortunately fallen through the environment a couple of times now in attempted survivalist runs. If it would someday be possible to allow us to fall back on the most recent checkpoint/save this would be very much appreciated. Thank you again for such a great game and also releasing on PS4! Awesome! So glad you liked it! Thanks for sharing that. Also thanks for sharing the trouble you had, but very sorry to hear that. If you don't mind, please email me at games@stage2studios.com with a note on where you fell through terrain so we can investigate solutions. Thanks again! Hi, I'm really enjoying Lifeless Planet on Xbox One but I've got to the part where I have the robotic arm but I cannot seem to be able to use it. What can I do? I'm sorry to hear this! You can go to New Game and choose the Inferno level to restart that level. Why doesn't your game save on the Xbox One? Three times now I've played for an hour or two just to boot it up the next day and be greeted by the loading screen of the chapter I started on the day before losing ALL progress I have made. How can it not make a single save for an entire 1-2 hours? It makes it really hard to get the achievements for a completion under 4 hours or no deaths when your game DOES NOT SAVE. I just finished the Linux version, I quite enjoyed it! Small issue with my xbox 360 pad, the game works entirely except that the right trigger doesn't move the robot arm forwards. I ended up having to use the keyboard for that. Luckily there are only a handful of times it mattered but it was still a little jarring. That's very weird. I wonder if the input mapping was changed in the launcher window (before the game loads)? Anyway, glad you enjoyed it! Ps4, we are at the cliffs, and got into a no way out place. Last checkpoint takes us to the same dead end. How can we access a previous checkpoint or chapter on ps4 controller? If you choose "New Game" under the main menu it will show you all chapters you've previously unlocked. Great game. Would like to move it to a newer computer, but the save game files are not located where you say they are for the Mac. Yes, I have access to the Library. Has the location changed? Hi Scott, we didn't move them, but it's possible (probable!) that OSX is putting them elsewhere now. Did you look in both possible locations listed above? If so, email games@stage2studios.com and I'll respond directly after some investigation (I've got a Mac guru I can ask). I want to play ot with my PS3 controller. When the game starts I can look around for 1 second and then there is no furter gamepad movement any more. I can't imagine why this would happen, and I haven't heard anyone else with this problem. Have you tried reinstalling the game and gamepad drivers? If you still can't get it working, email me direct games@stage2studios.com and I'll try to assist.